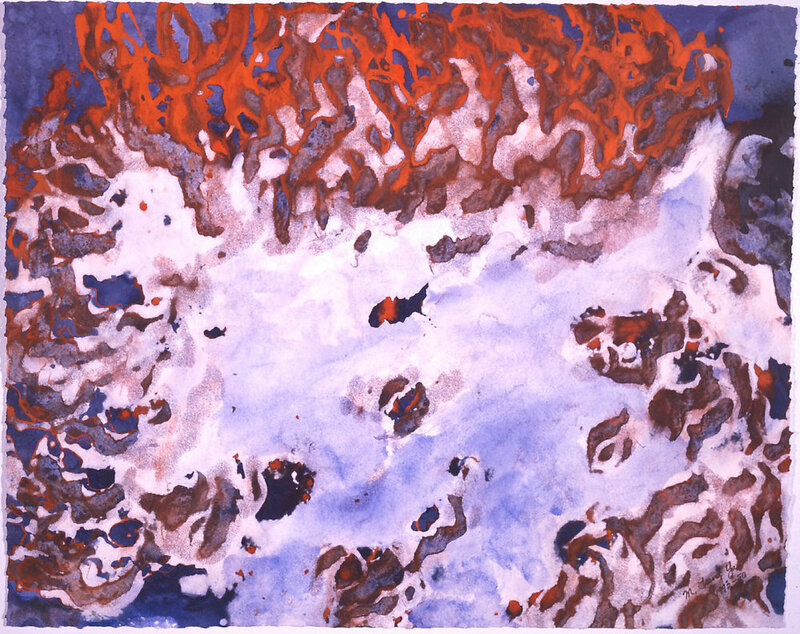 "Spring Lava" 1992, Geyser and Spring Series, acrylic on paper, 24 x 30 in (61 x 76 cm). "Geyser I", Geyser and Spring Series. "Geyser II", Geyser and Spring Series. "Spring" 1986, Geyser and Spring Series, acrylic on paper, 30 x 42 in (76 x 106 cm).